This is a set of eucalyptus watercolor wreath and branches clipart. 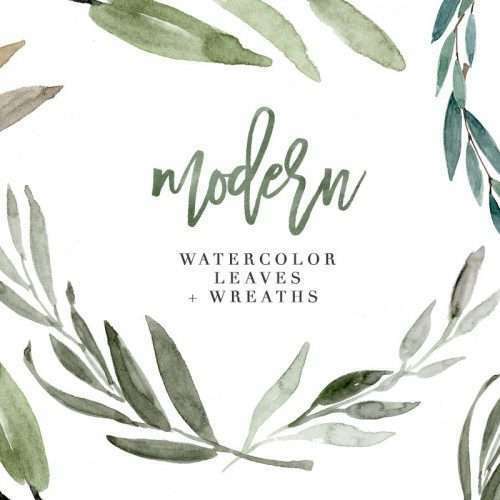 Hand painted in modern shades of greenery, sage and olive, these watercolour graphics are perfect for your next design project. 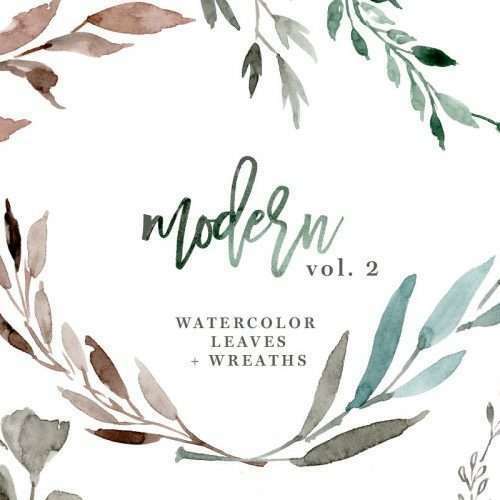 Perfect for Greenery and rustic woodland themes. 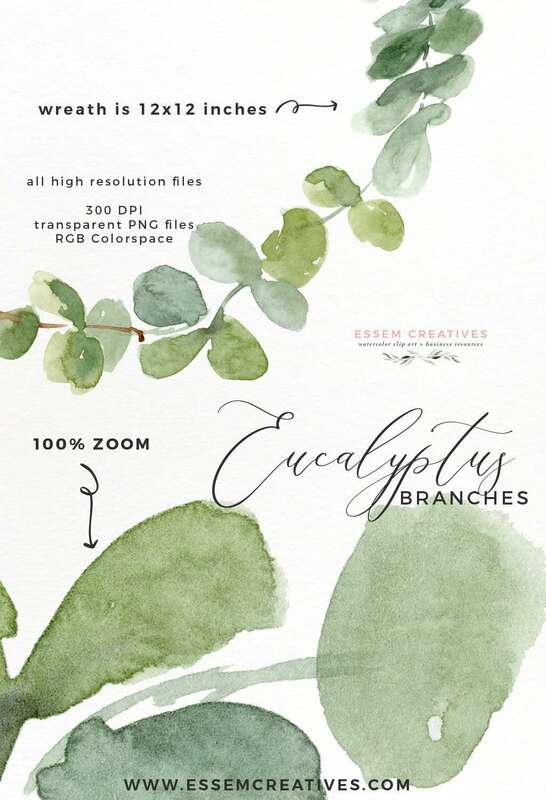 Are you on the lookout for the perfect dreamy and modern watercolor eucalyptus designs for your DIY design project? 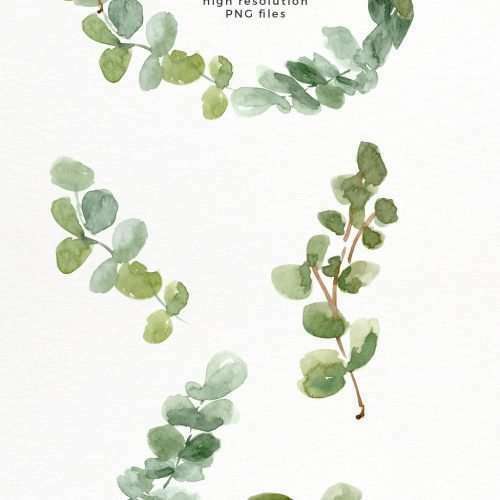 This clipart set features high resolution 300 DPI watercolor eucalyptus branches and also one pre-made wreath. All files come as PNG files with transparent background and you can use these files in any software that supports images! So go ahead, use Word, Pages, Photoshop, Illustrator, Canva – all of these softwares support this file type. 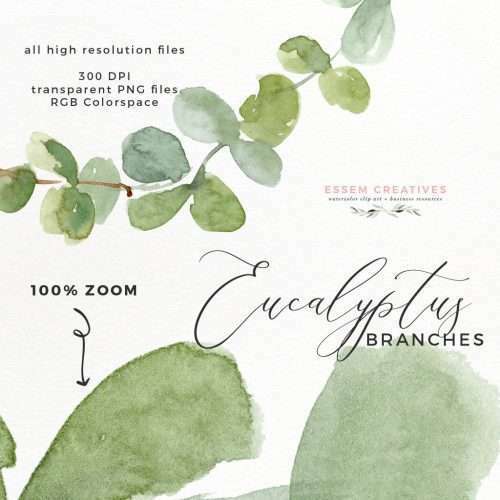 This also means that these greenery woodland style watercolor graphics are perfect for cricut projects as well. 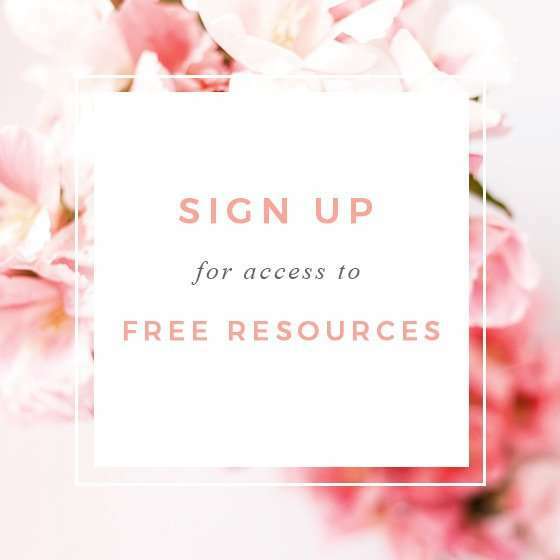 Use them to print stickers, make labels, decorations for your scrapbook projects, planner decor and more! 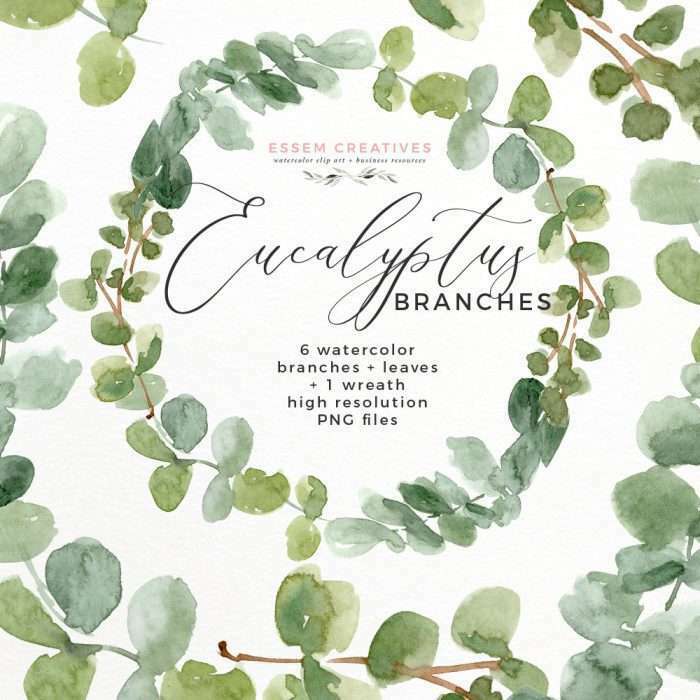 Very happy with my eucalyptus branch clipart. Beautiful and high resolution! 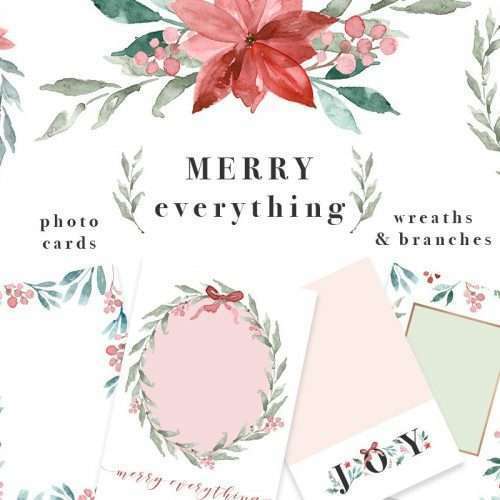 Again, can be used for a variety of event cards and backdrops.